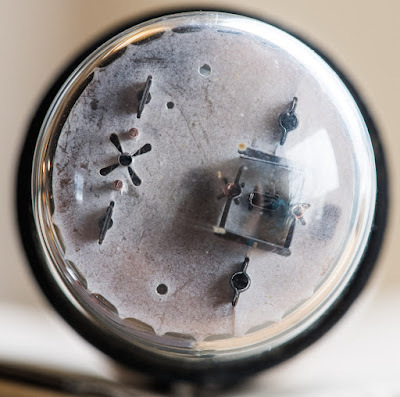 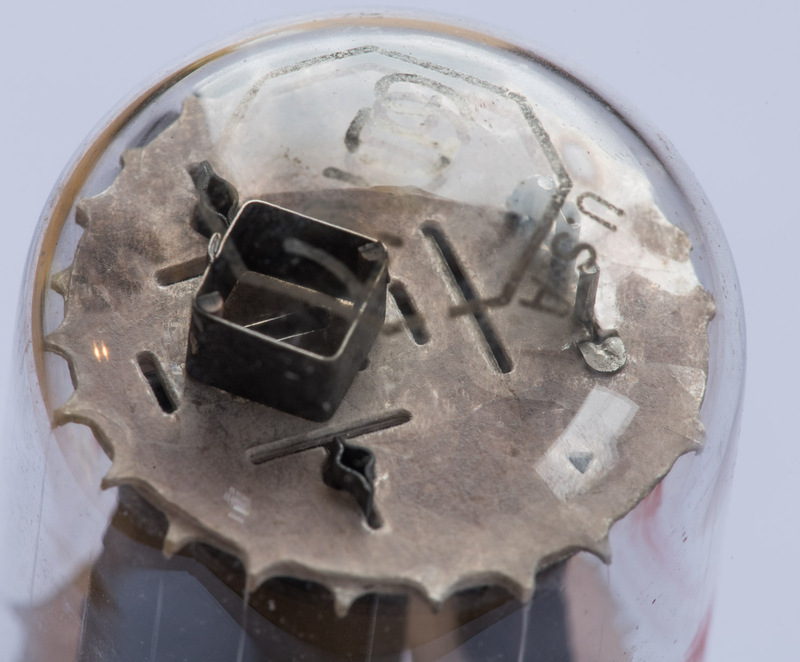 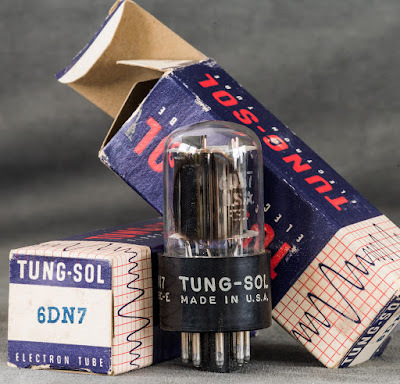 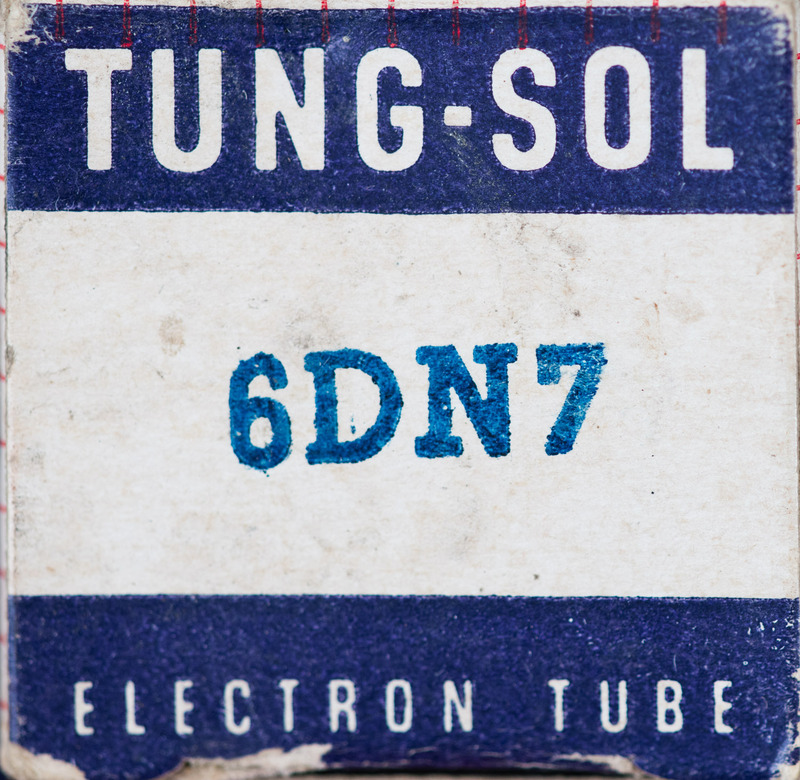 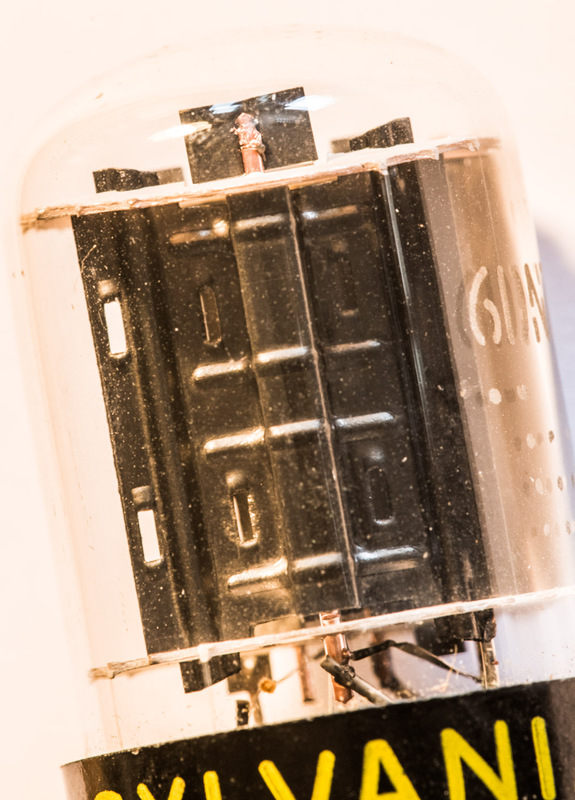 This month we have a double triode with dissimilar systems: The 6DN7. 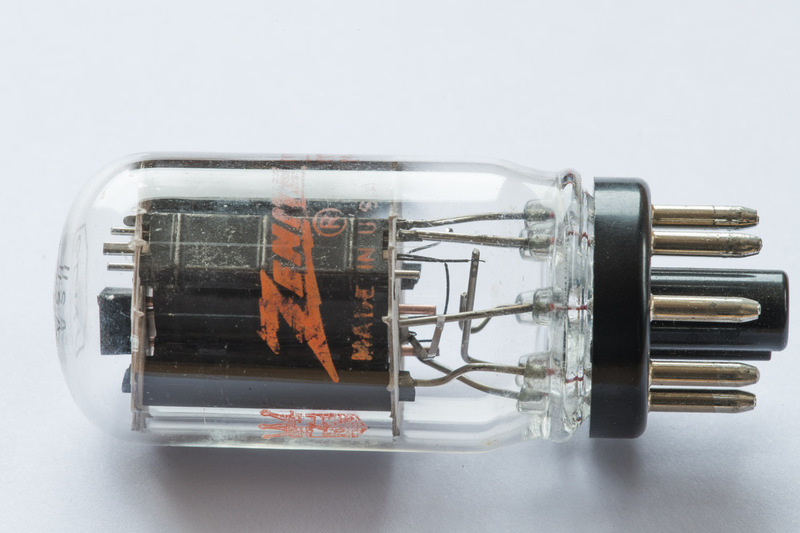 Like many other dissimilar double triodes the 6DN7 was developed for the oscillator and amplifier sections in the vertical deflection system of TV sets. 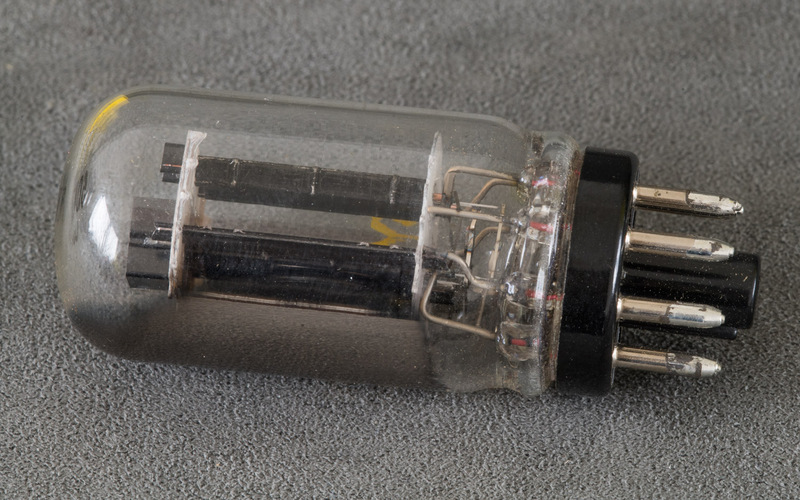 It comes with an Octal base which is shown on the left. 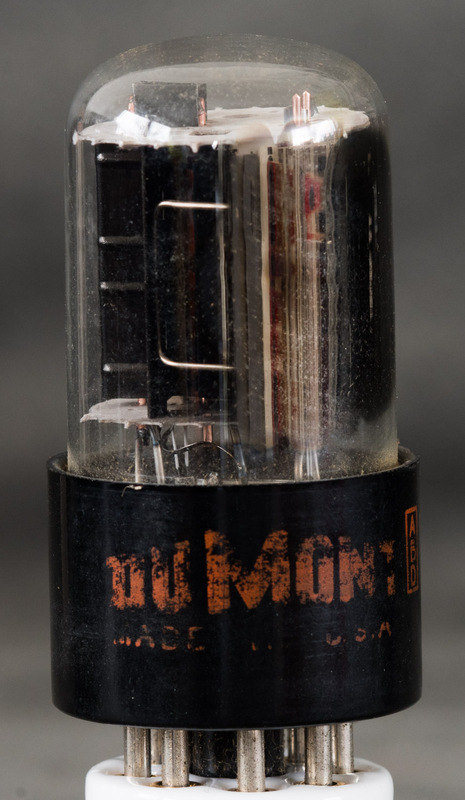 Unlike other dissimilar duotrides which usually have a high mu and a low mu section, both systems of the 6DN7 have a medium mu. 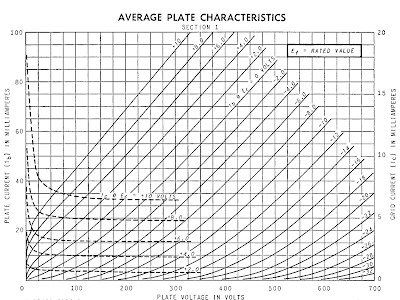 But very different plate dissipation ratings. 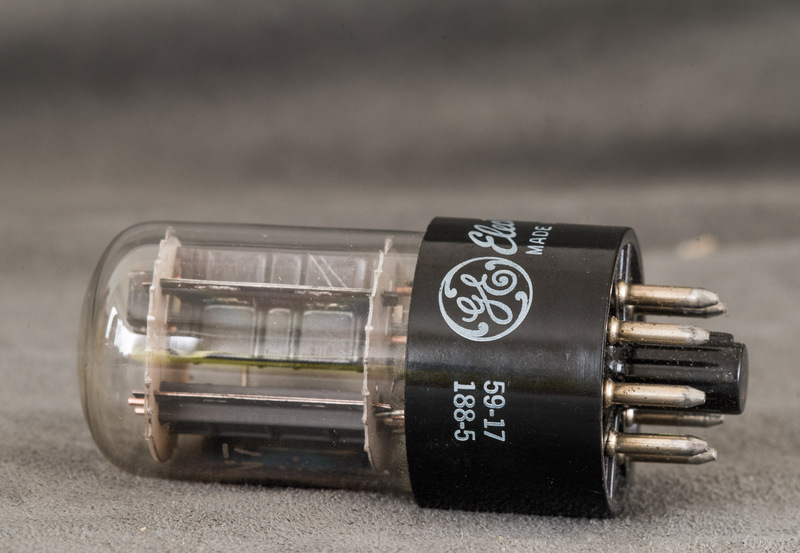 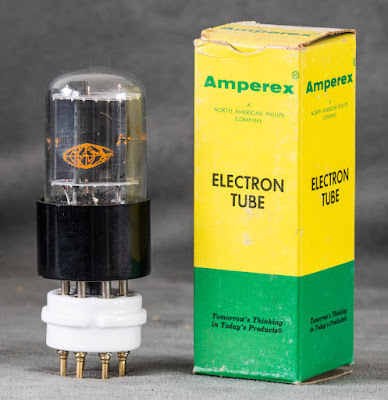 This sets it apart from other such duotriodes like the 6GL7 or 6FM7 Section one has an amplification factor of 22.5 and a plate resistance of 9000 Ohms. 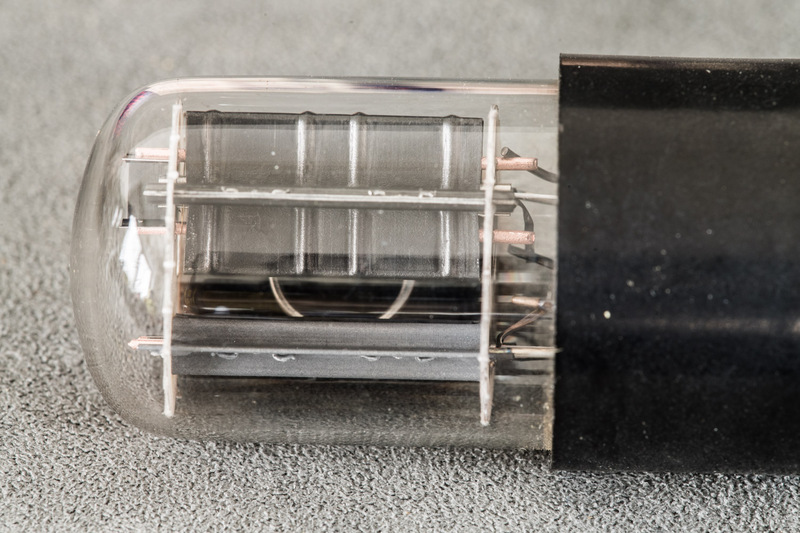 It only has a plate dissipation rating of 1W. 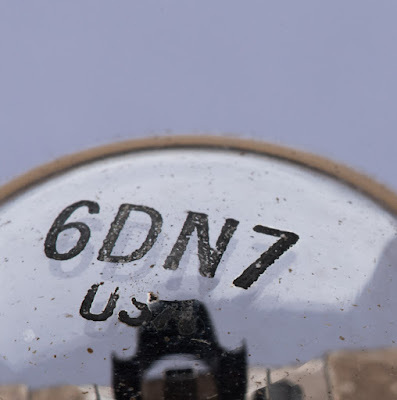 This puts this section somewhat close (but not identical) to the 6J5 (or one half of the 6SN7). 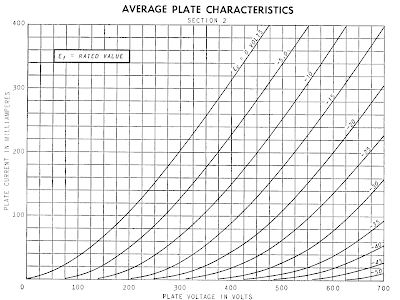 Section 2 comes with a 10W plate dissipation rating, an amplification factor of 15.4 and plate resistance of 2000 Ohms. 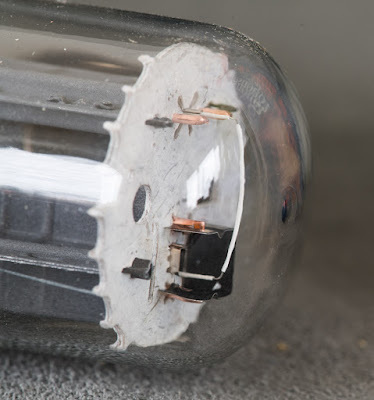 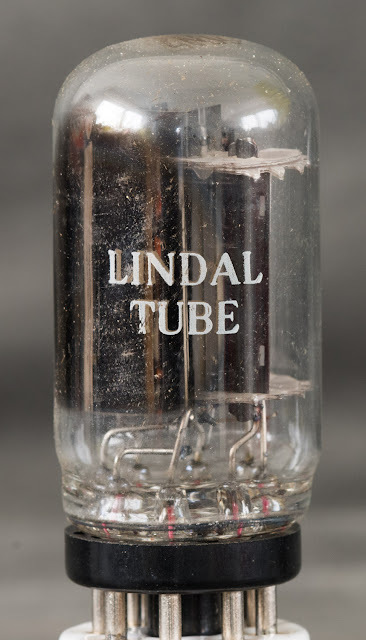 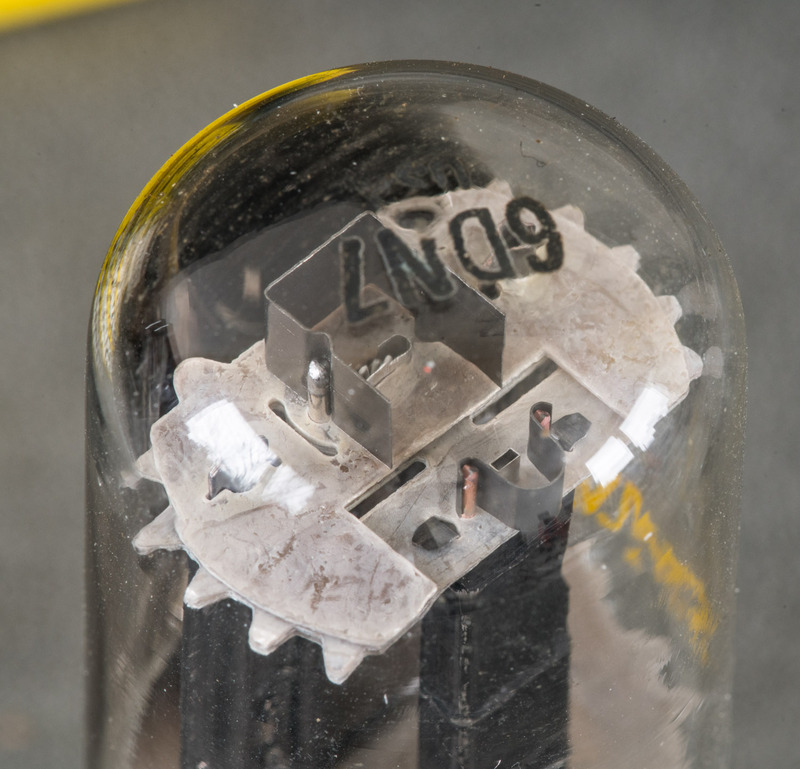 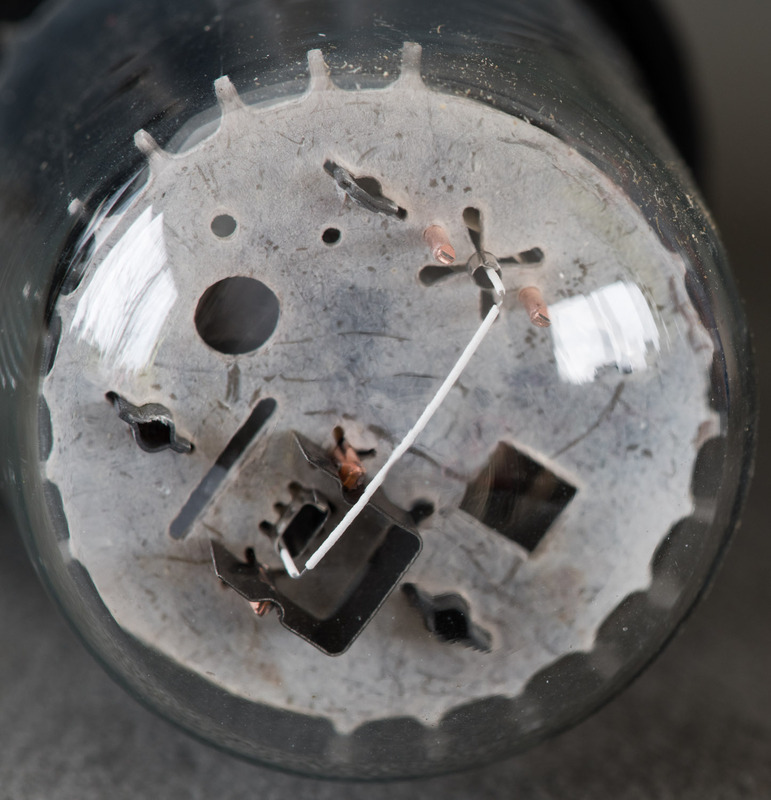 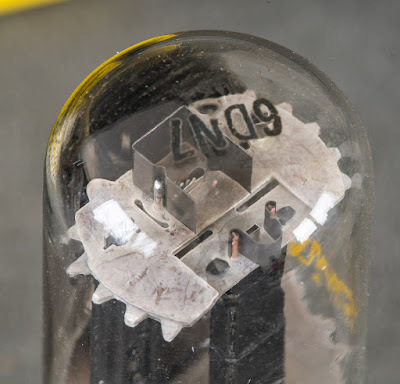 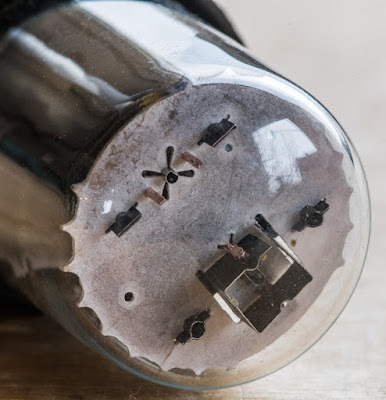 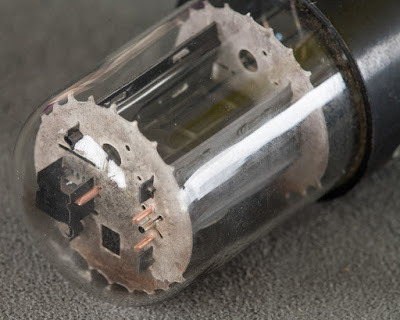 The tube has a 6,3V heater which runs at a modest current of 0.9A. 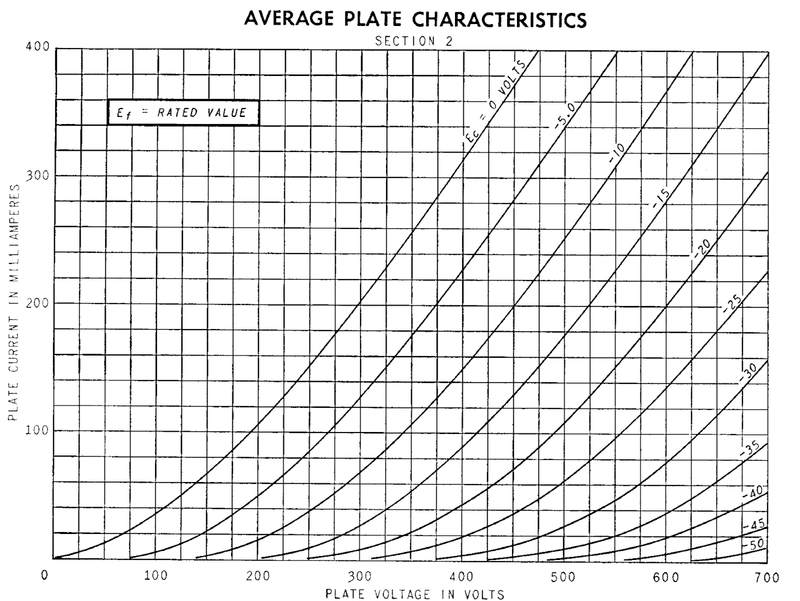 For the complete set of technical parameters see the General Electric data sheet. 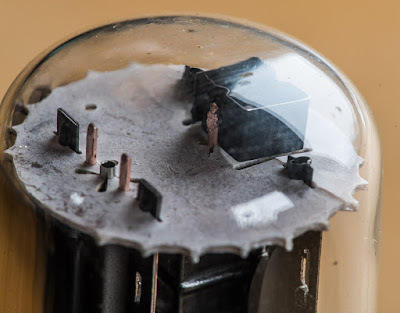 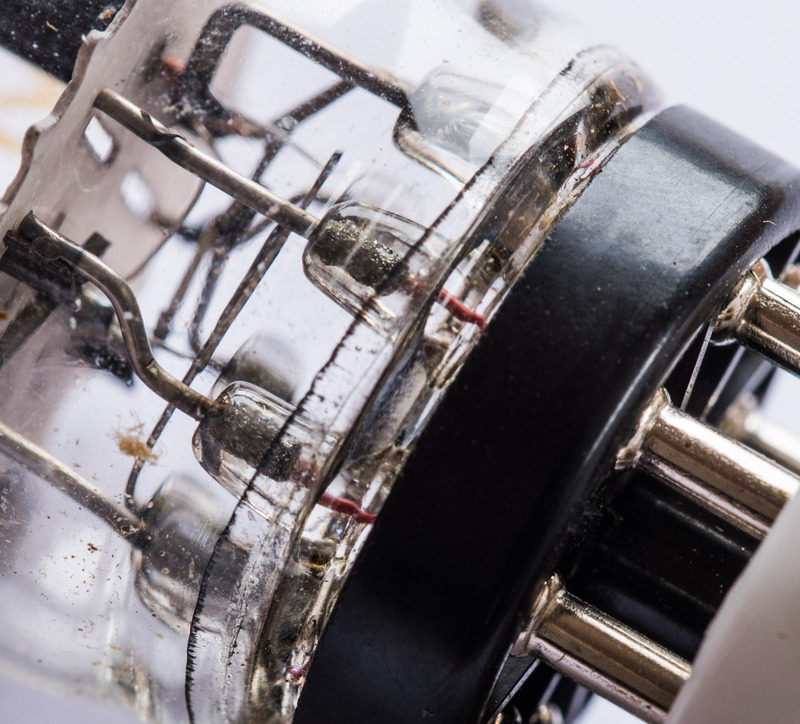 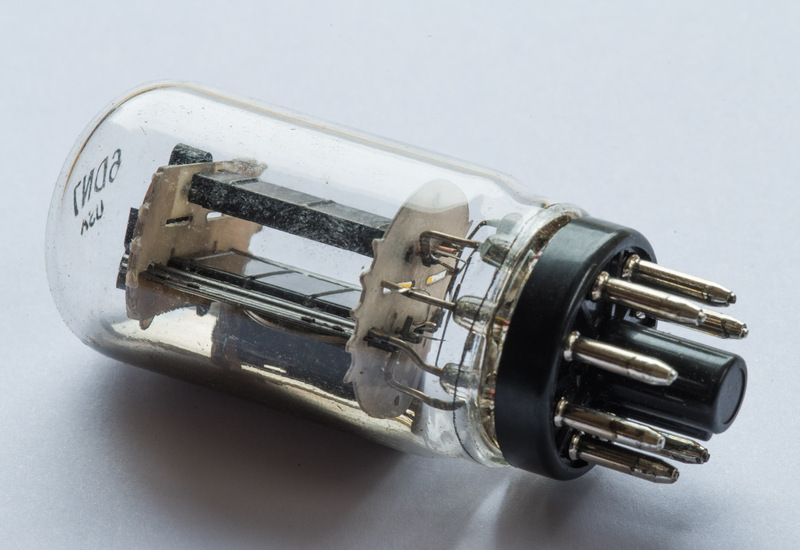 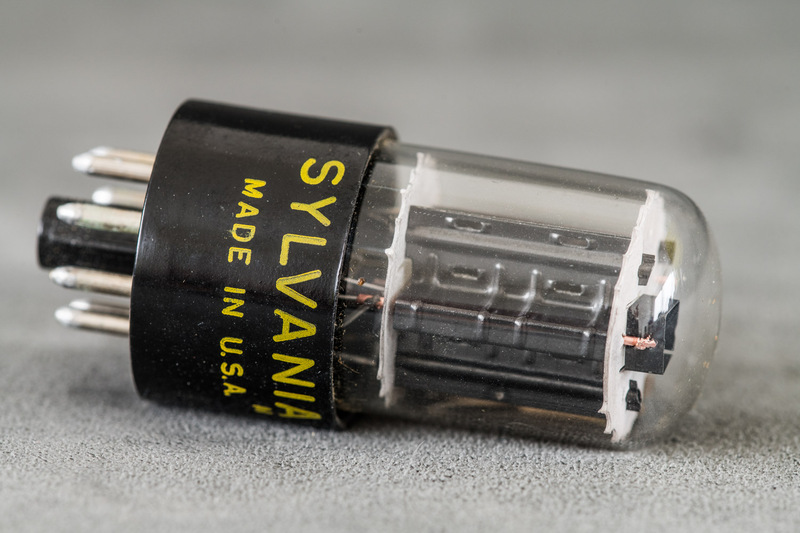 The 6DN7 gained a lot of popularity in the 1990ies when Bottlehead offered a single ended experimenters kit with this tube. The parameters of the tube make it obvious why it was an excellent choice for a low priced kit. 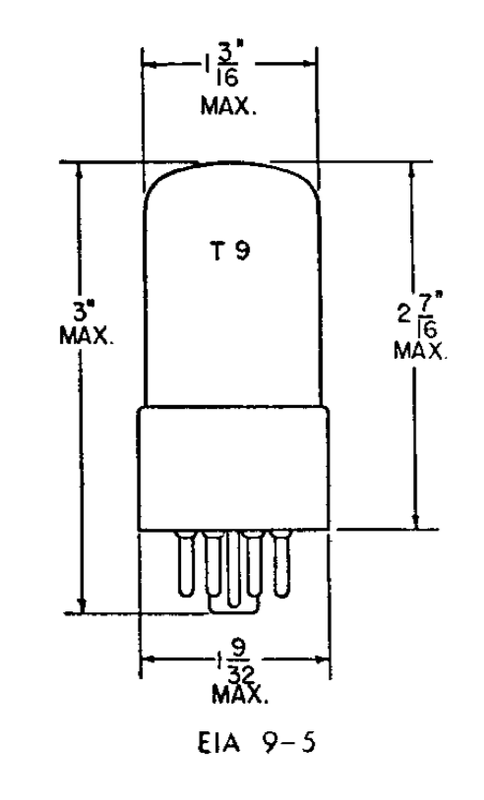 Section 2 can serve as output stage and is good for maybe 1.5W. 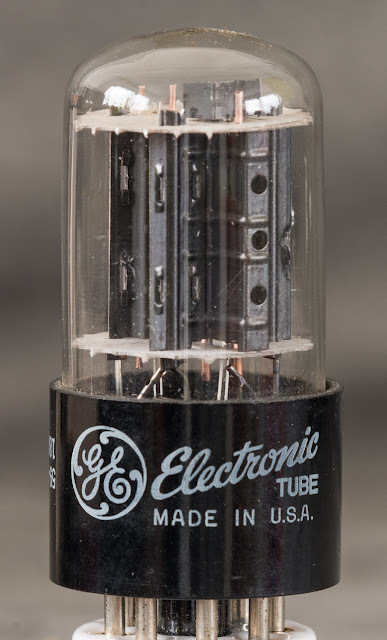 The rather high amplification factor of the power section does not require a large voltage swing at the grid and is easily driven by section 1 of the tube. 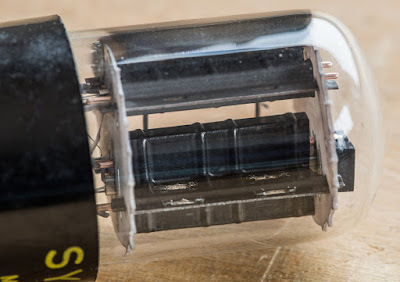 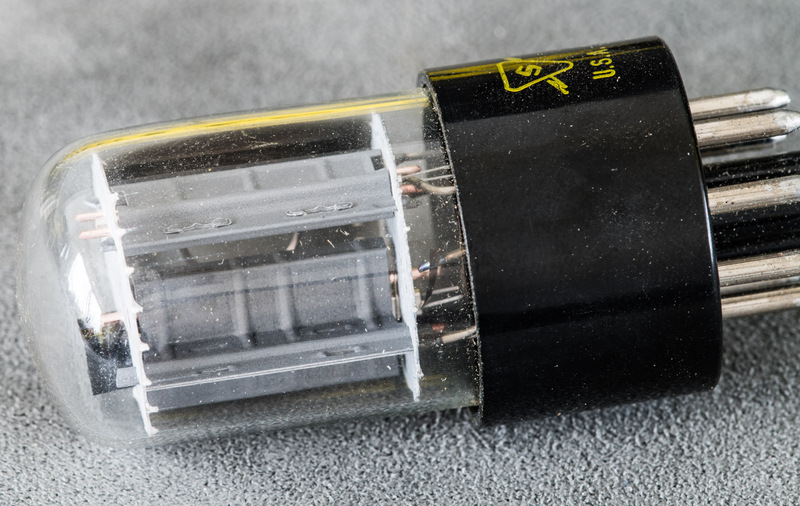 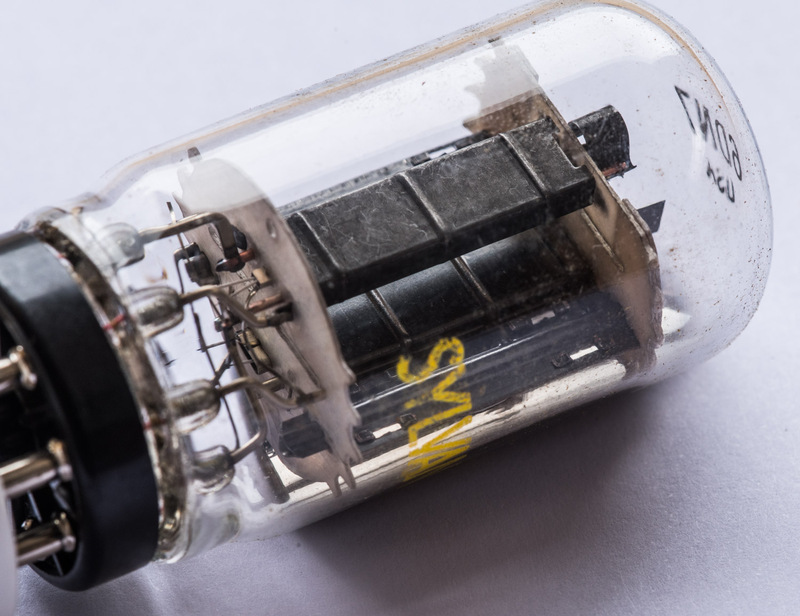 This enables building a complete single ended amplifier with just one tube per channel. 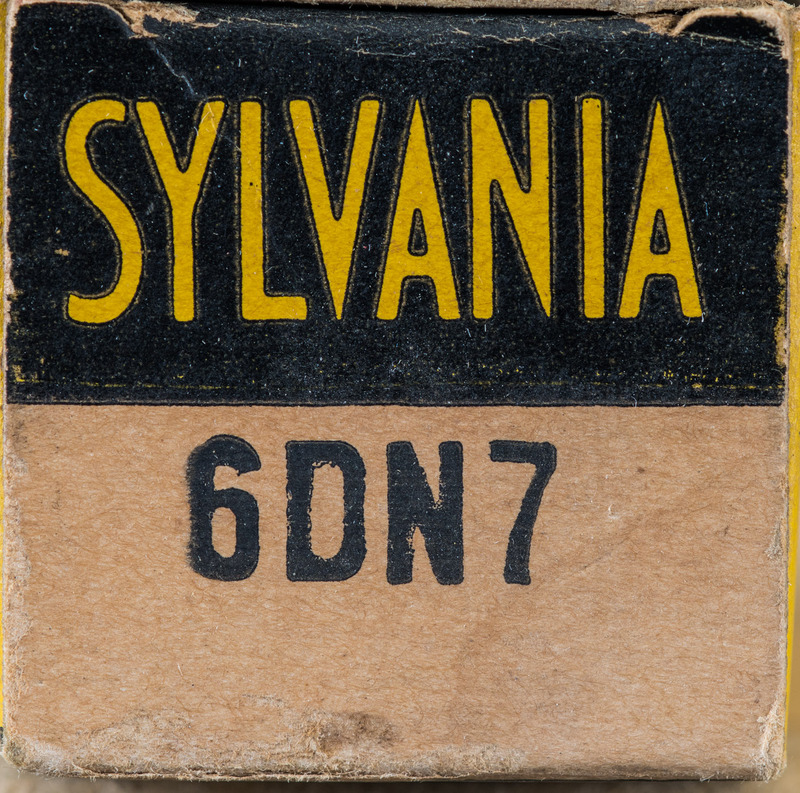 So this was a smart choice and the popularity of that kit is most likely the reason why the 6DN7 became somewhat scarce. 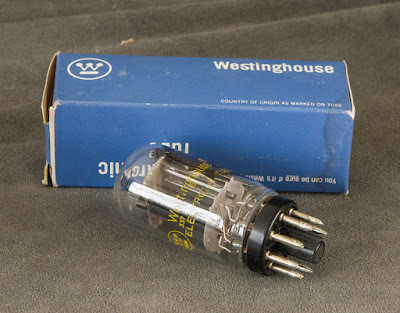 But still available and at much lower prices than the usual popular triodes. 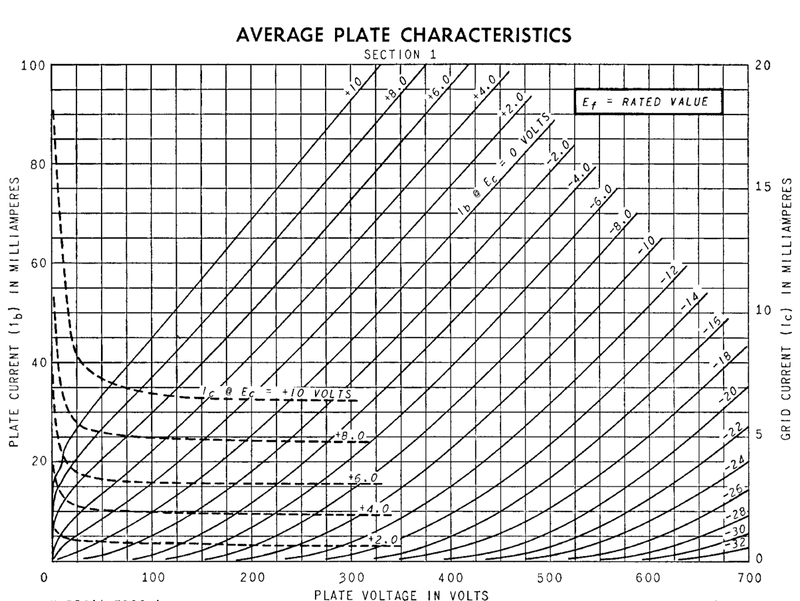 As always let's start by looking at the plate curves. 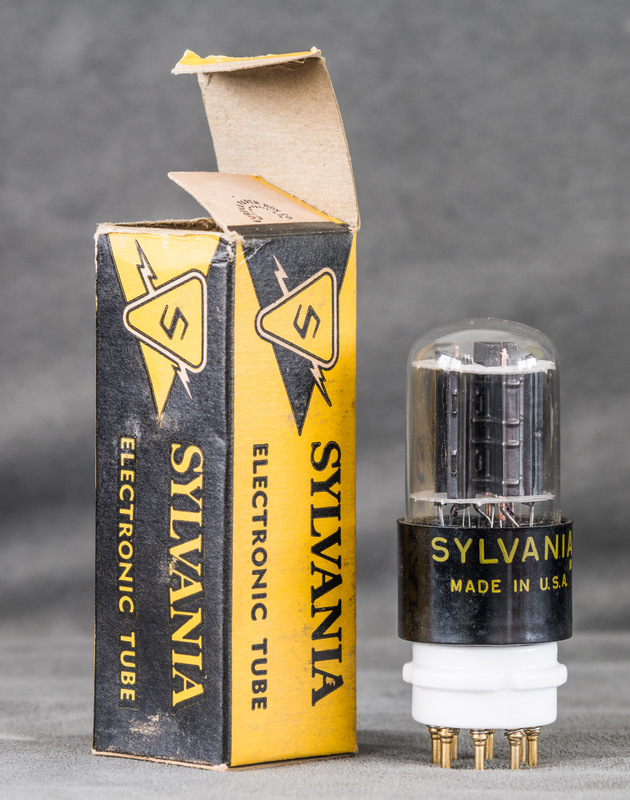 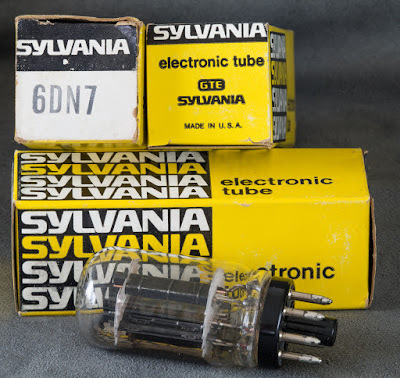 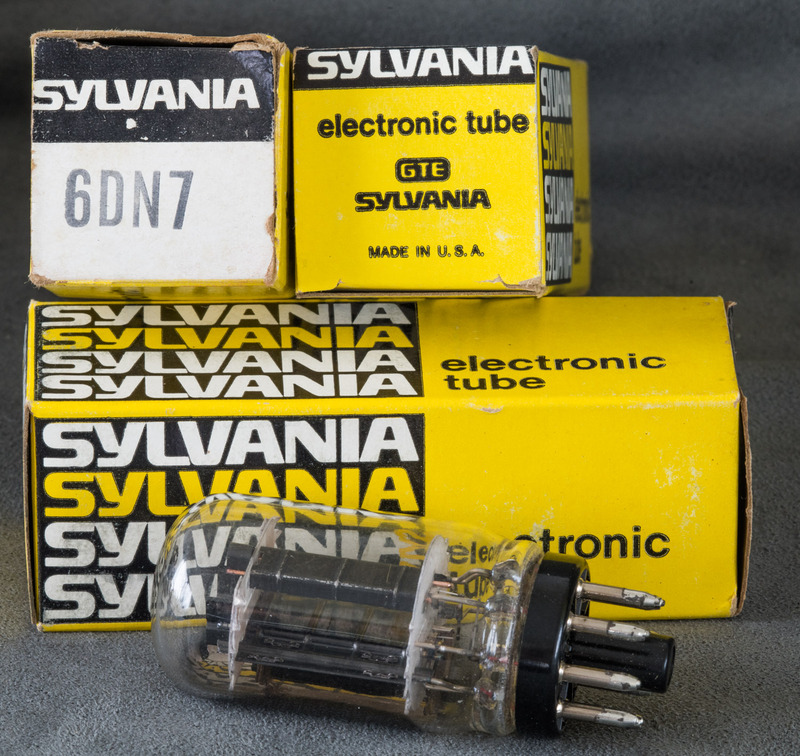 Now some photos of 6DN7 tubes, starting with Sylvania. 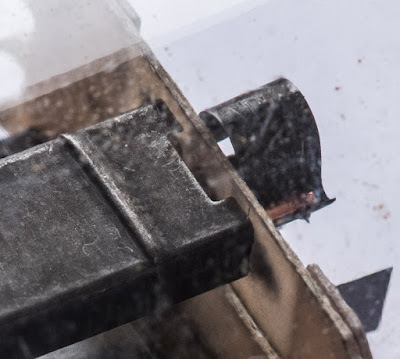 This one only differs in the plate coating. 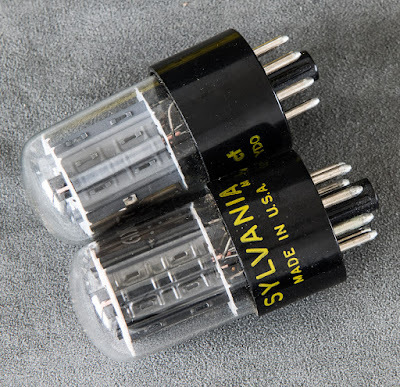 The same construction as the Sylvania above, except they omitted the cooling fin on the power triode grid. 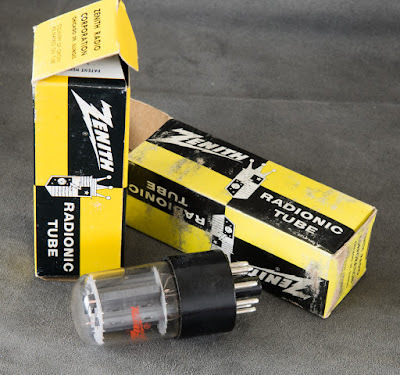 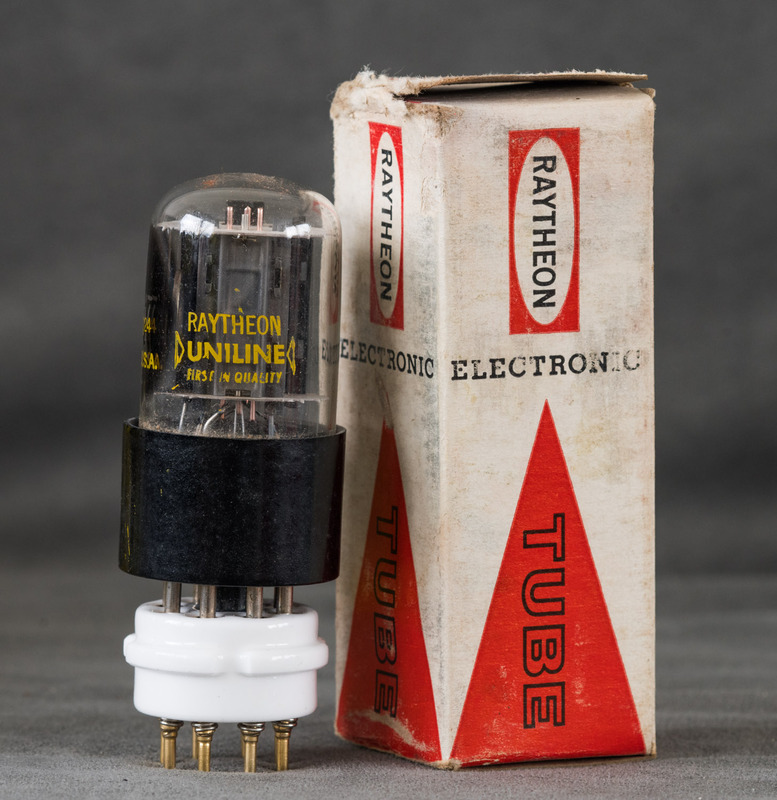 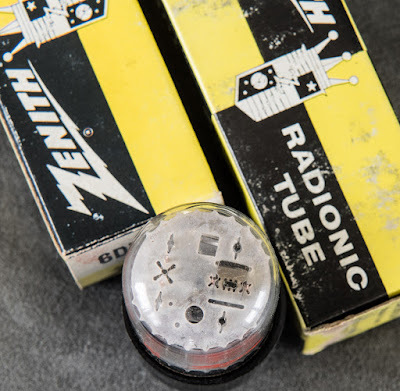 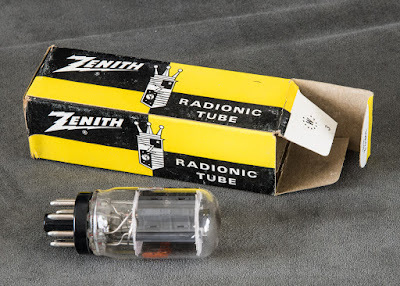 Zenith had the tubes made by Sylvania. 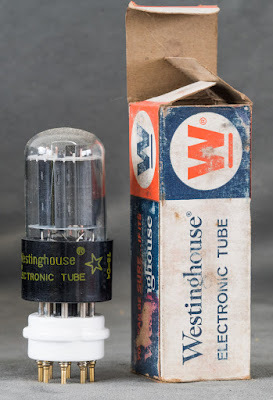 We still offer a version of the Bottlehead S.E.X. kit in 2019. 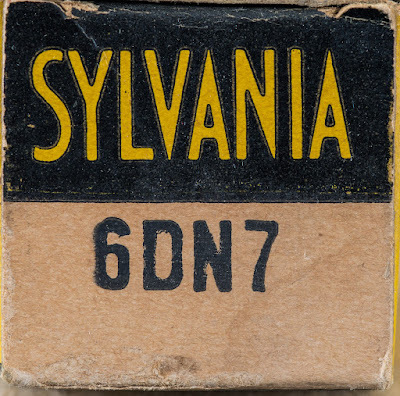 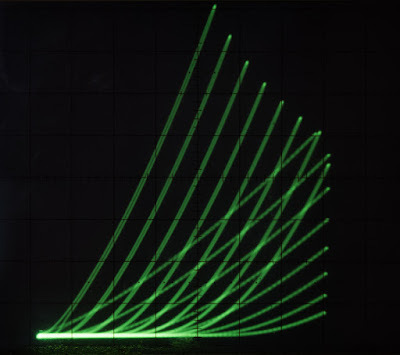 The 6DN7 was not used in that many television designs. 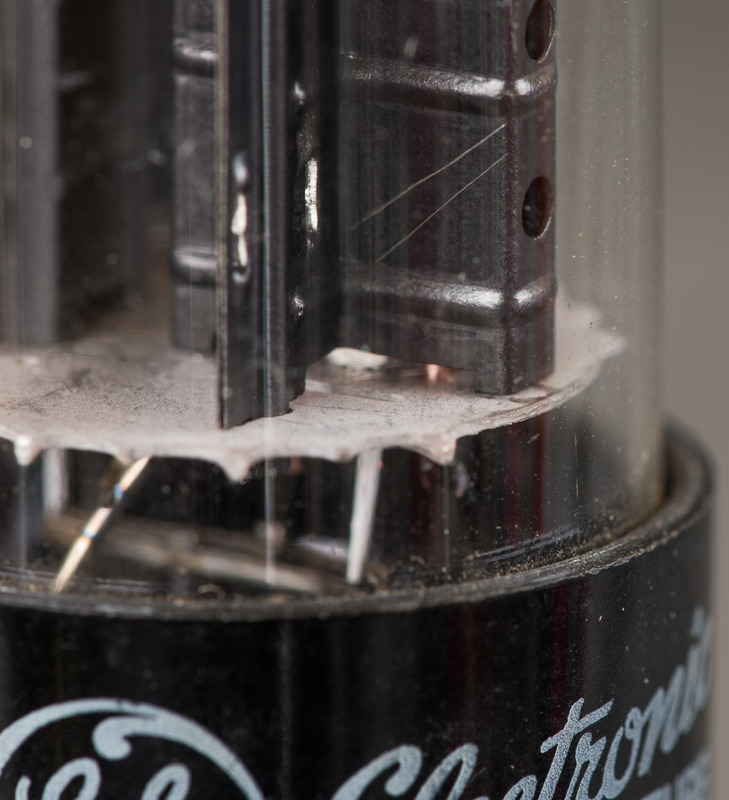 Consequently the supply was never very big and we assumed early on that it was bound to dry up eventually. 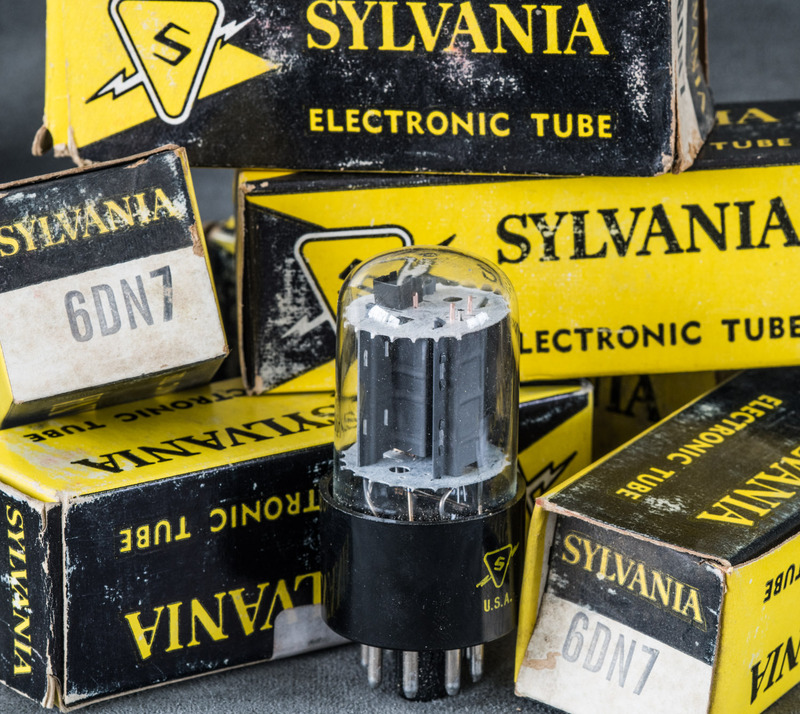 I was surprised that we were able to find a steady supply for over 20 years. 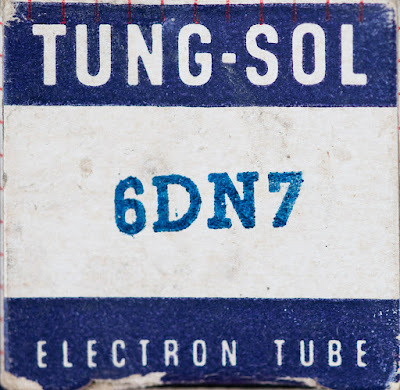 These days there are still 6DN7s out there, but no longer enough in the quantity lots that we need to justify its use. 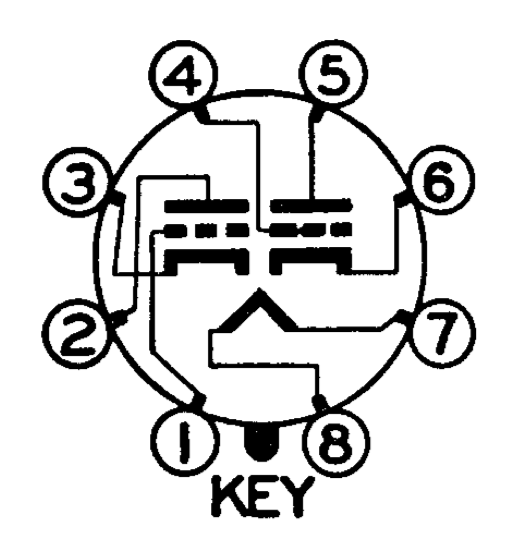 The current S.E.X. amp uses the identical sounding Compactron equivalent, 6FJ7. 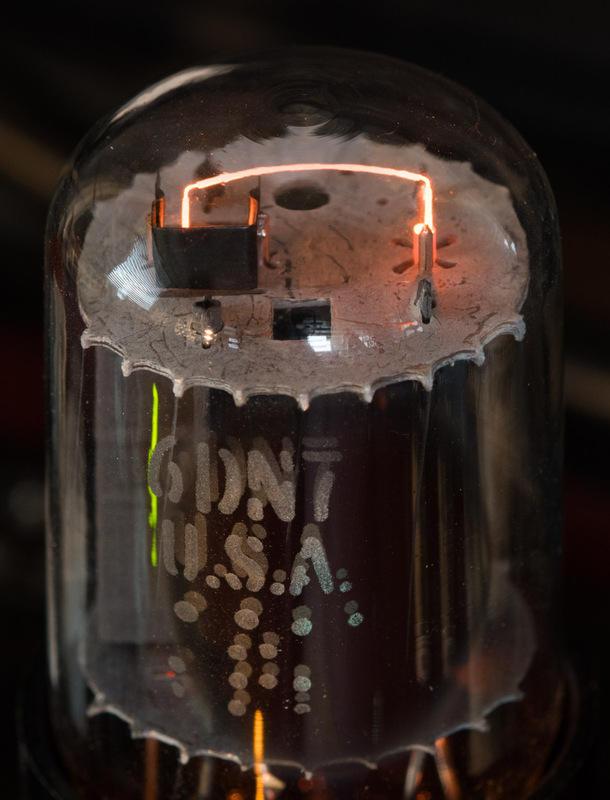 I have a 23" B&W General Electric TV from 1963 that uses a 6DN7 for vertical osc. 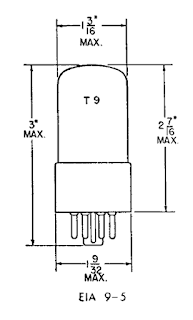 & sweep. 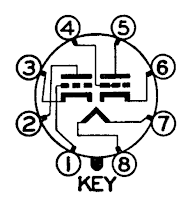 It also has your favorite damper 6AX4. 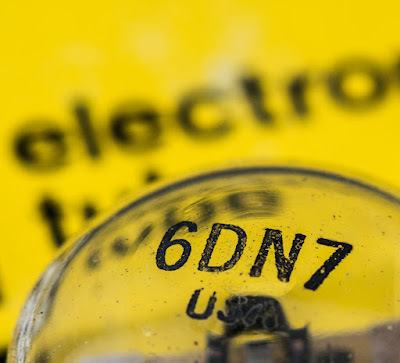 PS: Thank you for featuring the 6DN7 and showing a GE example.